Whistleblowing reports are ripe for film adaptations, and Michael Mann’s The Insider turns one such true story into a gripping thriller. No action scenes are necessary here; instead, the film builds tension through the tumultuous work that is investigative journalism, and the extreme lengths large corporations will go to cover their asses. Russell Crowe plays Dr. Jeffrey Wigand, a research chemist who decides to blow the whistle on the illegal behavior of his former employer, Brown & Williamson. Part of the triumvirate that is Big Tobacco, B&W had blatantly lied to Congress about the addictive nature of their cigarettes. 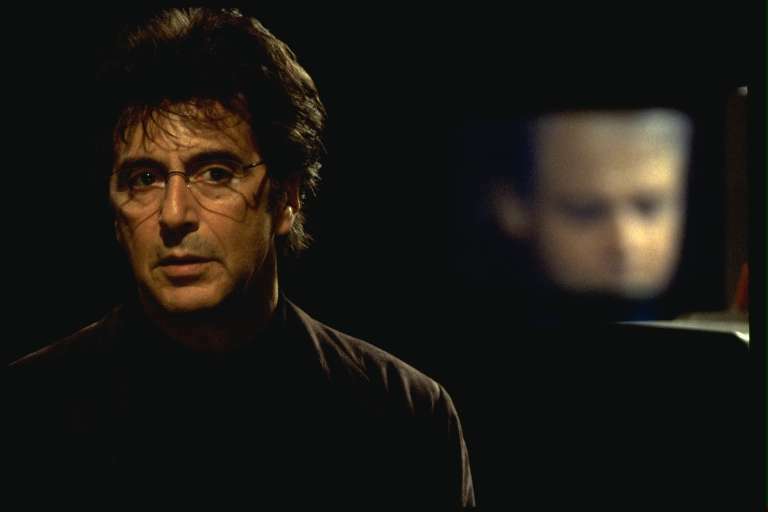 Wigand is persuaded to spill the beans about these blatant perjuries by 60 Minutes producer, Lowell Bergman (Al Pacino). There’s a lot on the line here. Wigand is breaking his confidentiality agreement, thereby risking jail, and he is receiving all sorts of legal pressure from his former company. He becomes paranoid, believing there to be threats on his life, and it begins to unravel his once-stable family. Bergman, determined to get this story out there, is fighting profusely with his superiors at CBS. They are worried about the possible financial repurcussions that could happen if they were to air an interview with Wigand. There’s a lot of back-and-forth drama going on, and the pressure takes its toll on both men. By the end of the film, both Wigand and Bergman look like they have been to hell and back. It’s an increasingly desperate battle between the evil corporation and those seeking to tell the truth. There is an equal emphasis on both men in this film. We grow to learn more about Wigand early on, as he battles with himself on whether or not to fully go through with his actions. Later, Bergman is the main focus as he fights tooth and nail to get the 60 Minutes interview with Wigand on the air and unedited. Even when things are looking absolutely dire, neither one gives up. Both characters are well-written and given an ample amount of screen time, and Crowe and Pacino bring out the best in them. As the film goes on, it becomes more and more noticeable just how much of an uphill climb they have ahead of them. Crowe and Pacino are backed by an impressive supporting cast, including Christopher Plummer as 60 Minutes anchor Mike Wallace, Philip Baker Hall as the TV show’s top boss, and Diane Venora as Wigand’s distraught wife. If there is a flaw in the film, it’s the running time. This is a captivating story, no doubt, but it feels a bit stretched too thin to warrant a running time of over two and a half hours. There are moments where the film drags, and a bit more editing would have been beneficial. 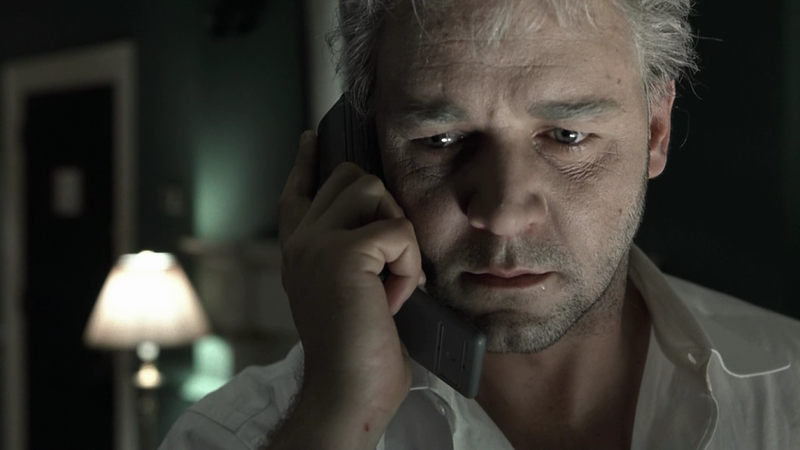 In the end, The Insider asks the question: is justice really worth fighting for? In this case, yes, it appears so. All of the hard work from these two men did pay off, as the Big Tobacco companies reached a massive settlement (over $200 billion) with all 50 states. Wigand and Bergman emerged as different men by the end of it all, but it can be argued their perseverance made them stronger than they ever were before. Another great film by Michael Mann! Different but very much in his distinct style. Fine review, Eric. Thanks, Michael. So glad I was finally able to check it out. Also, thanks for the Twitter RT! I love films like these. 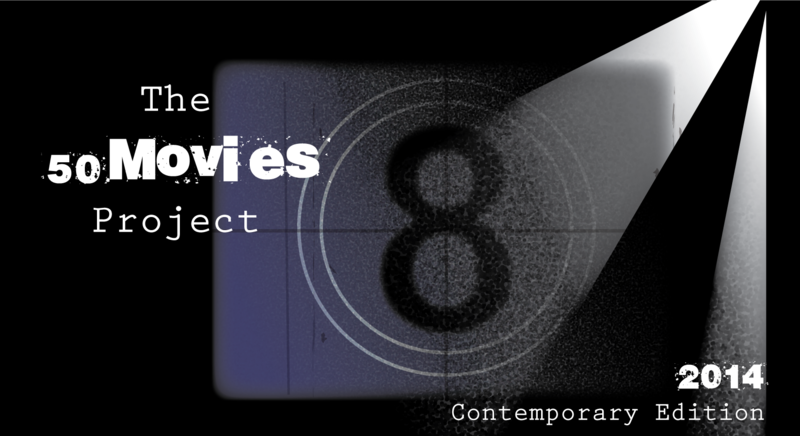 Intelligent films with really well-written characters. Same here. It seems they are getting to be fewer and farther in between these days. Woo hoo! Glad you finally saw this, definitely a great slow-burn thriller from Michael Mann. Crowe should’ve won for his role here. One of those movies I have been meaning to rewatch for a long time but still have not come around to yet. It has been so long since I have seen it that I can not remember anything about it. I could see myself coming back to this every once in a while. A bit of a slow burn, but still very gripping. Nice review. I haven’t seen The Insider in quite some time but I remember loving it. As I recall, Crowe is particularly great. Thanks man. Really enjoyed Crowe’s work in this. Great review, Eric. And I agree that this one seems a bit too long in places – which is a shame because so much of it is so brilliant (especially the performances). Thanks man. The extended length is a bit unnecessary, but this is still an early project highlight for me. Glad I was finally able to check it out. This is one of my favorites from Michael Mann, who’s near the top for me with directors. I also love Bruce McGill’s big moment where he tears into the guy on the stand. So many great scenes across the board, and I love what Plummer does with Mike Wallace. Michael Mann is someone I really want to see more of. Aside from this film, I have seen Heat, Collateral and Public Enemies, and I liked all four (Heat being #1). The Last of the Mohicans was a last-minute cut from my project, but I hope to still catch it soon. I haven’t seen The Keep or his TV movies, but I’d vouch for all of these. Heat is also my favorite, but it’s pretty close with a few others. Nice job on this review, Eric! 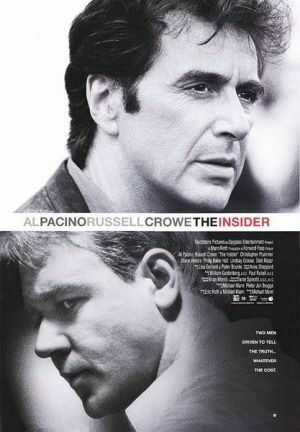 One of Mann’s strongest efforts and he was able to rein in Pacino and get an amazing performance from Crowe. All around, a great looking production with great material and a relevant moral dilemma at it’s core. 100% agree with you, man. I thought Pacino and Crowe complemented each other quite well, and the slow burn of the film really paid off in the end.